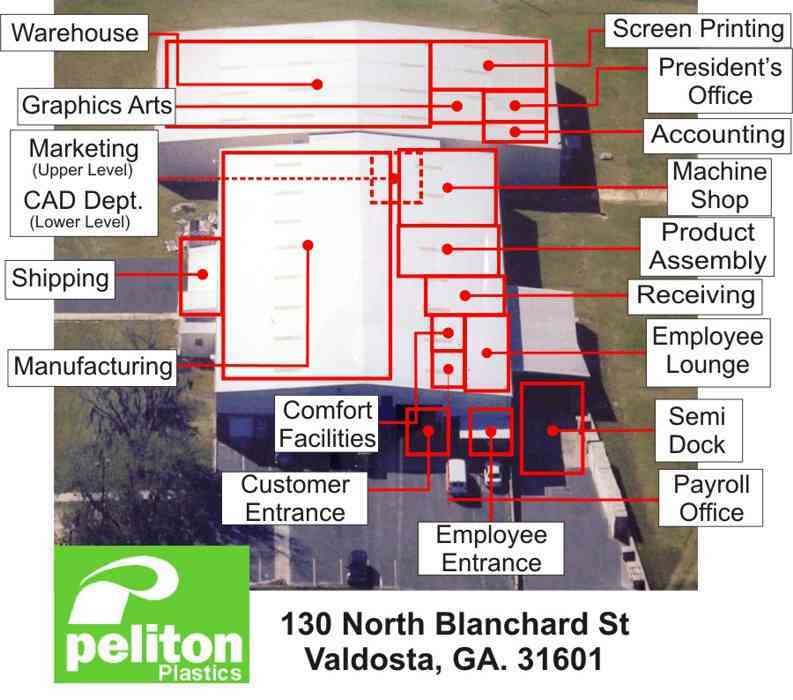 Peliton Plastics's 35,000 sq. ft.
machine shop, product assembly, shipping and receiving departments. In the second building houses our warehousing, screen printing, graphic design, accounting and management offices. 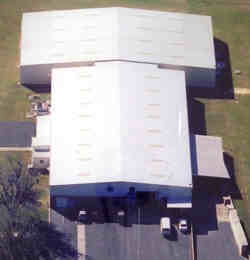 We invite anyone interested in touring our facility to give us a call. 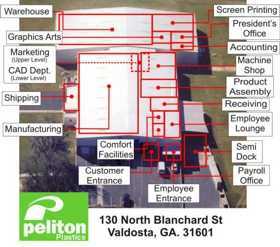 If you are travelling to Valdosta, GA please see our Valdosta Information page for maps and directions. Peliton Plastic injection molding company's 35,000 sq. ft.